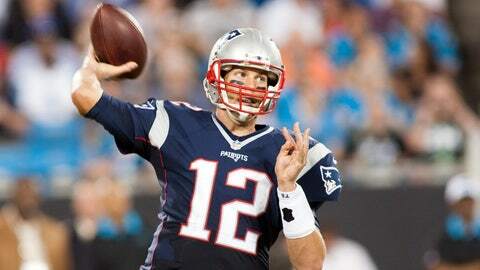 Tom Brady made a bit of history against the Eagles with the 421st touchdown pass of his career. New England Patriots quarterback Tom Brady continues to move up the ranks of the greatest quarterbacks to ever take the field. In Week 13 against the Philadelphia Eagles, Brady threw the 421st touchdown pass of his illustrious career, a 4-yard strike to James White in the second quarter. With that touchdown, Brady passed Dan Marino, moving him into sole possession of third place on the career passing touchdown list. Brady now only trails Peyton Manning (539) and Brett Favre (508) on the all-time list. Additionally, his 422nd TD pass later in the game made him just the fourth player in NFL history with six or more seasons of 30-plus touchdown passes.